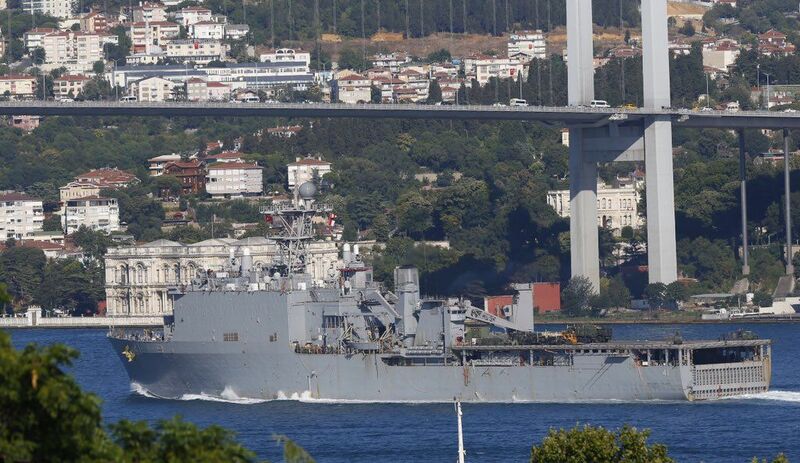 A dock landing ship of the US Navy USS Whidbey Island has passed through the Bosphorus, entering the Black Sea, to take part in the Ukraine-U.S. joint multinational maritime exercise Sea Breeze 2016, according to dumskaya.net. A number of marines are to be deployed from the ship on the coast near the mouth of the Danube, according to the drills’ scenario. As UNIAN reported earlier, the Ukraine-U.S. military exercise Sea Breeze 2016 kicked off in Ukraine July 18, to be held in Odesa and Mykolayiv regions and in the north-western part of the Black Sea. According to Naval Today, the at-sea phase of the exercise will focus on maritime interdiction operations as a primary means to enhance maritime security. Other warfare areas to be tested include air defense, anti-submarine warfare, damage control, search and rescue, and other tactical maneuvers. Read alsoSea Breeze 2016: Video shows Ukrainian border guards air dropped without parachutesThis year’s exercise will cost $4.5 million, not including cost of U.S. ship participation, and is primarily funded by the European Reassurance Initiative (ERI). Nations scheduled to participate include Bulgaria, Georgia, Greece, Lithuania, Italy, Moldova, Poland, Romania, Sweden, Ukraine, Turkey, the United Kingdom, and the United States. Read alsoNo NATO Ally has Ukraine's battlefield experience with modern Russian army: PoroshenkoU.S. Exercise Chief of Staff, Cmdr. Ken Engle emphasized that in addition to the regional stability and maritime security aspects of Sea Breeze, the exercise was critical to building partnerships.